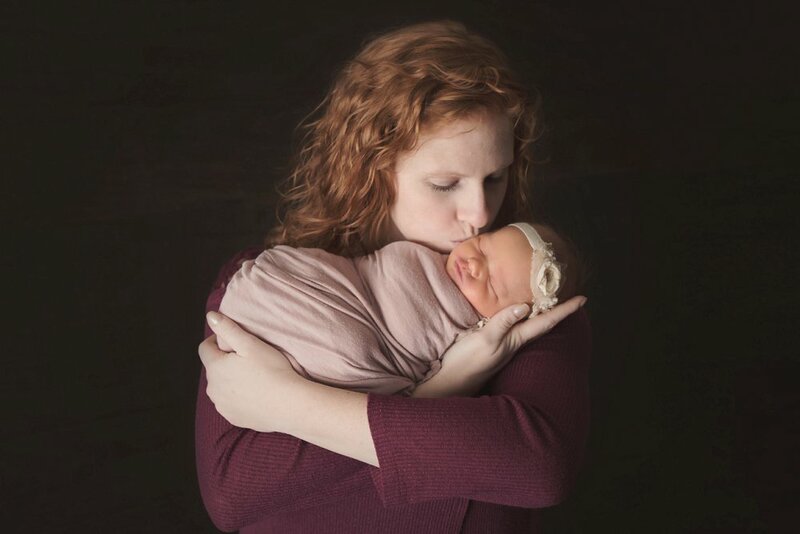 There’s nothing like the sweet smell of a newborn, gazing down at your perfect little one, and dreaming, praying and wishing for all of the things they will become. 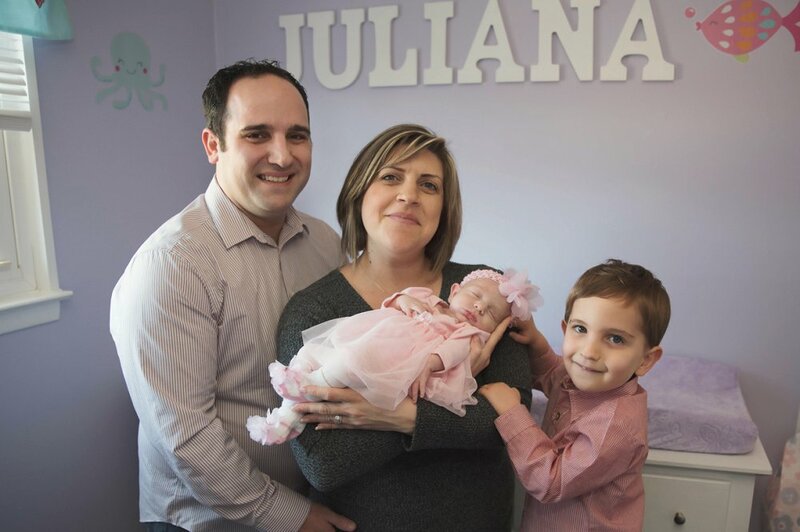 Whether it’s your first, second, or fifth child, there is no better feeling than bringing a newborn into the world or welcoming an adopted child into your family. 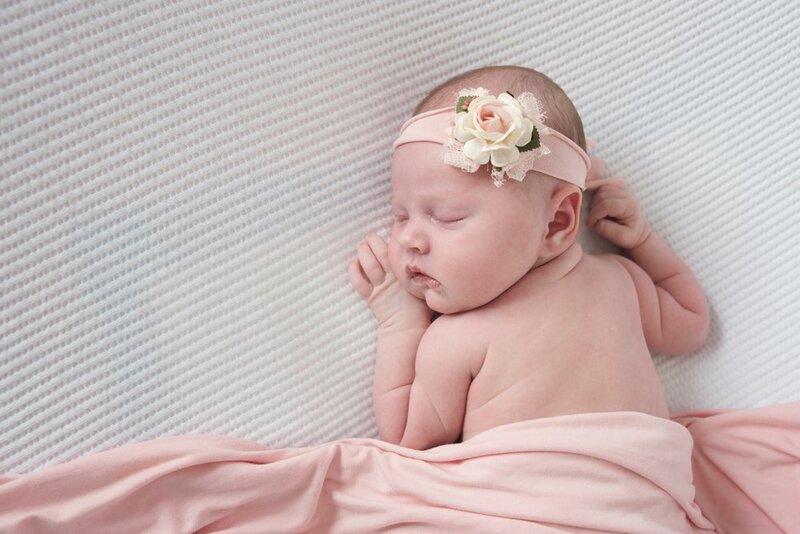 We are simply honored to be chosen as the photographers for your baby’s first close-up. 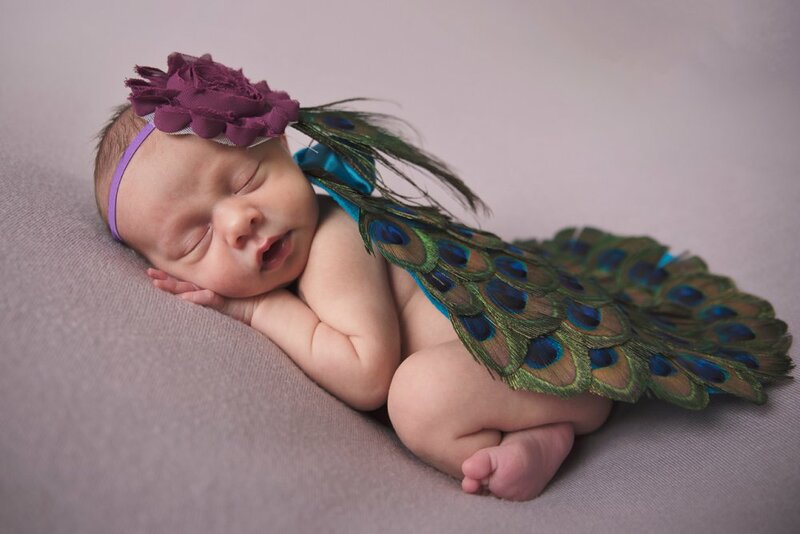 Newborn photography is where our passion lies. 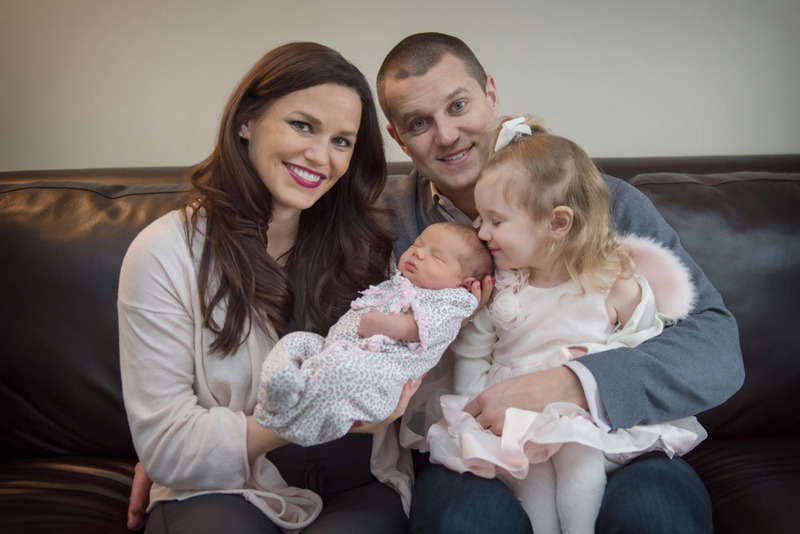 Family is life’s greatest blessing, and there is nothing quite like the happiness that a new baby brings. 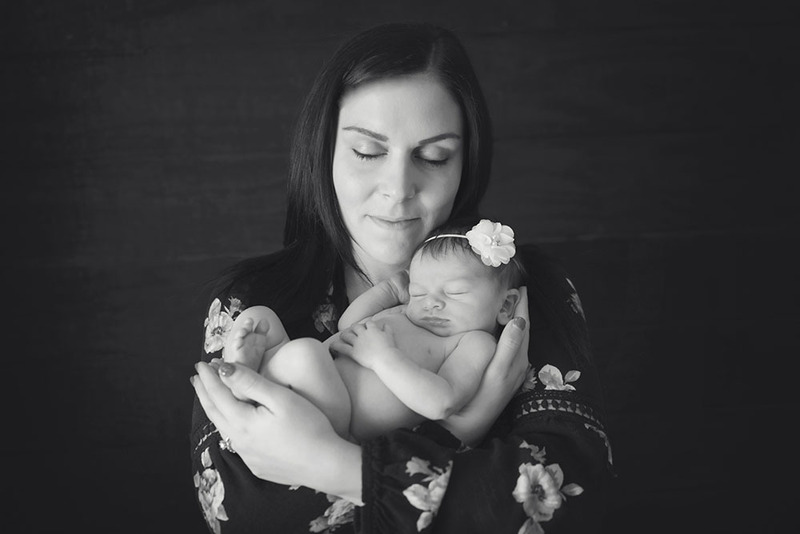 We love the way a newborn lights up a room, the pure joy felt by all, the way the toughest guys turn into mush when holding their sweet baby girl for their first portrait– we love nothing more than photographing these magical moments. Accordingly, our passion for photography is reflected in our pictures, as we not only capture amazing moments on camera but all of those wonderful feelings, too. 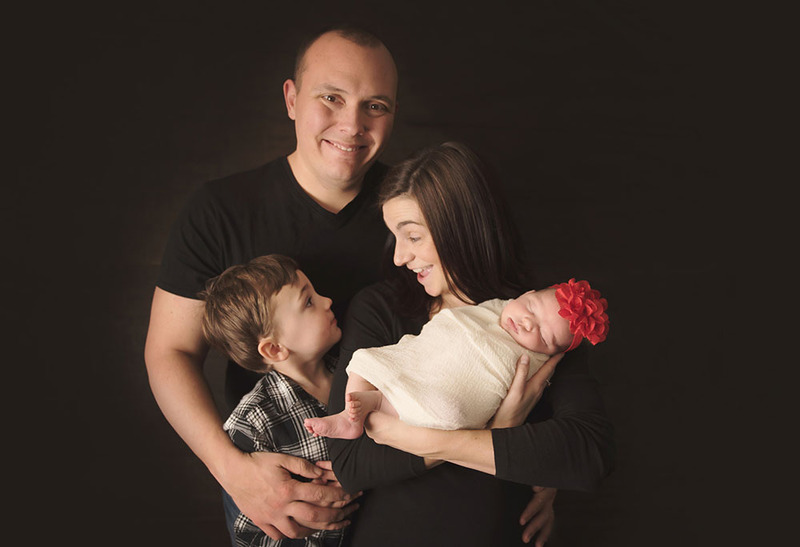 At Appletini Photography, we capture beautiful images while making the process simple for you and your family. We know that you have enough to worry about, so we have made this process as simple as possible for you. 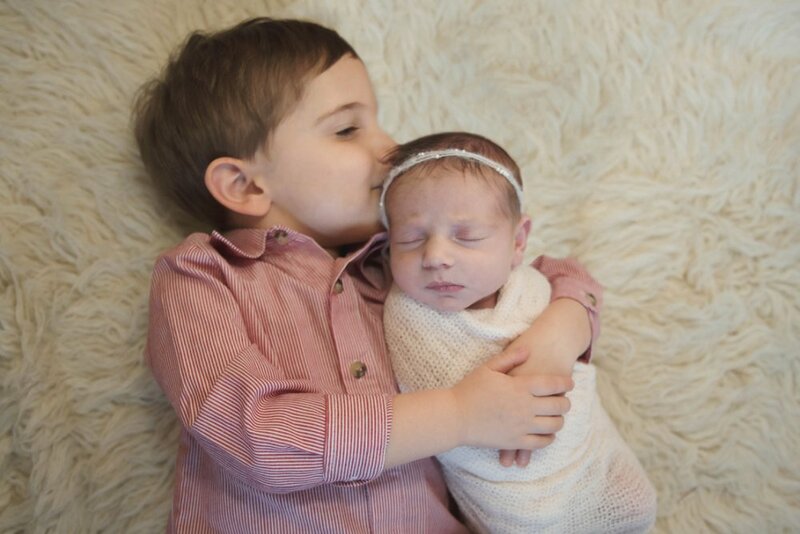 You take care of the diapers, and we will create, capture, and print the adorable moments. We would love to work with you to style and create images that will be hanging in your home for years to come. 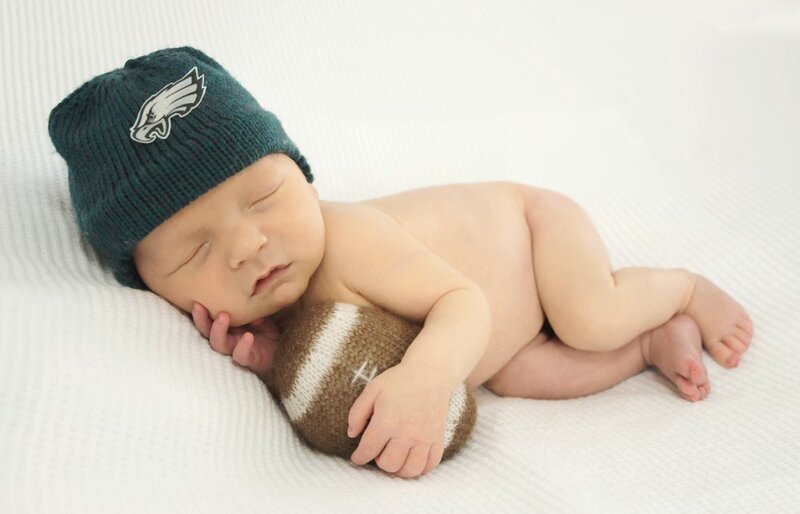 Newborn sessions take place in our Yardley, PA studio. It’s a comfortable studio where mom and dad can relax, grab a cup of coffee, take a nap (if you need it), and let us take care of the rest! 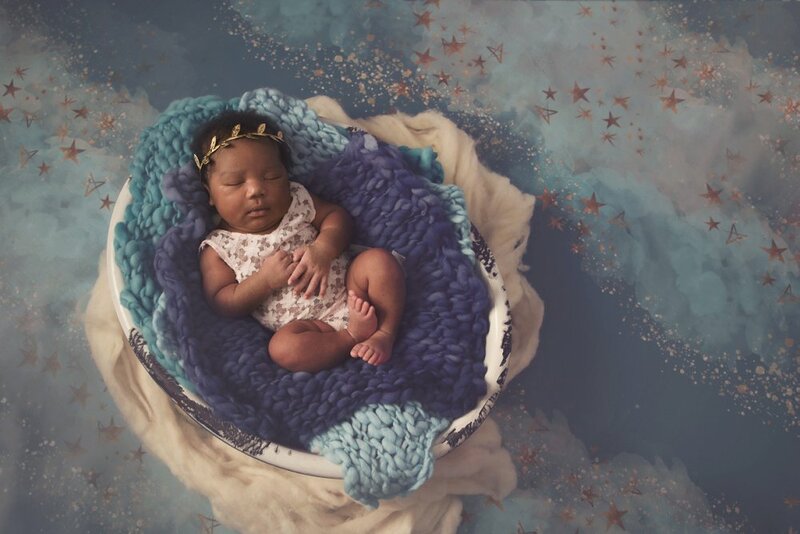 In this relaxed environment, we take our time creating the perfect images to celebrate your new bundle of joy! 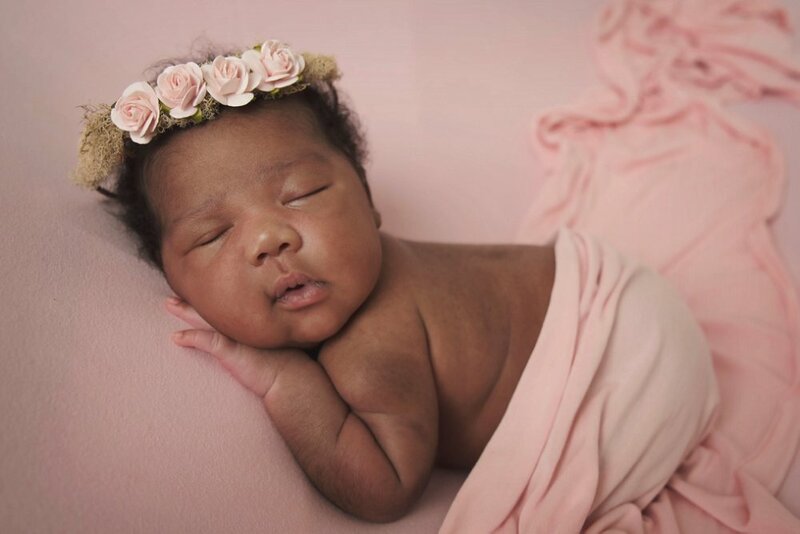 Newborn sessions are recommended within the first 14 days of birth for those sleepy, dreamy poses, but they can occur at any time in the first 3 months. 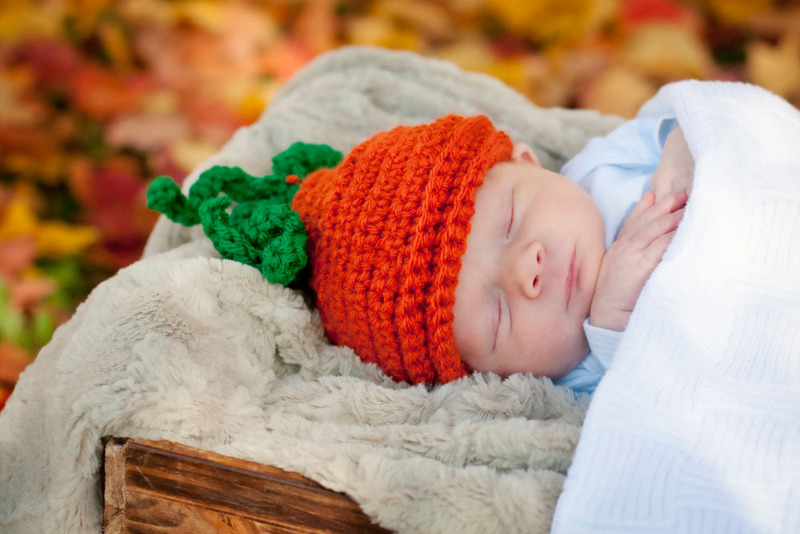 Our newborn session consists of three different segments: newborn poses, prop shots, and family portraits. Within these individual segments, we include a variety of positions and backdrops. 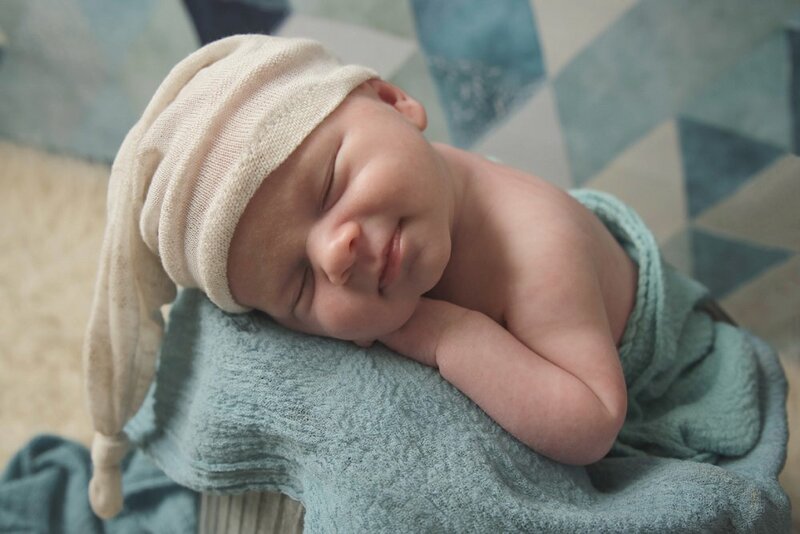 Your new addition brings such joy, and we love photographing that emotion. 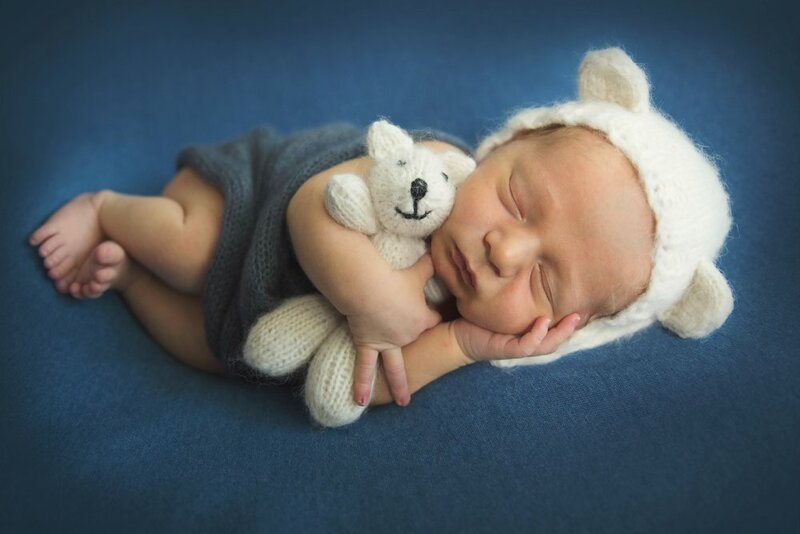 Therefore, we take a variety of pictures with your newborn and the special people in his or her life. Feel free to include up to six people to have their picture taken. This typically includes mom, dad, big brothers, and big sisters, but can also include grandparents, favorite aunts, godparents, and cousins. If you would like to include more than six people, each additional person is $10. 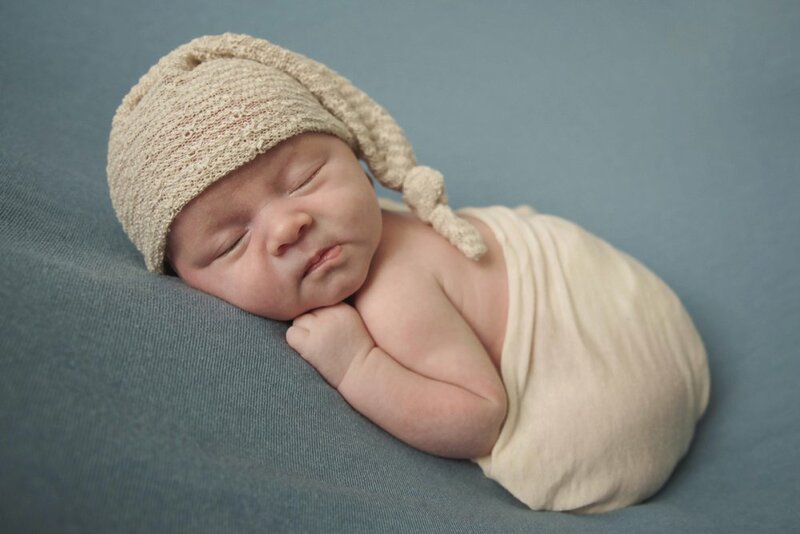 For the newborn poses, we use a portrait beanbag covered with various blankets to create the perfect backdrop. 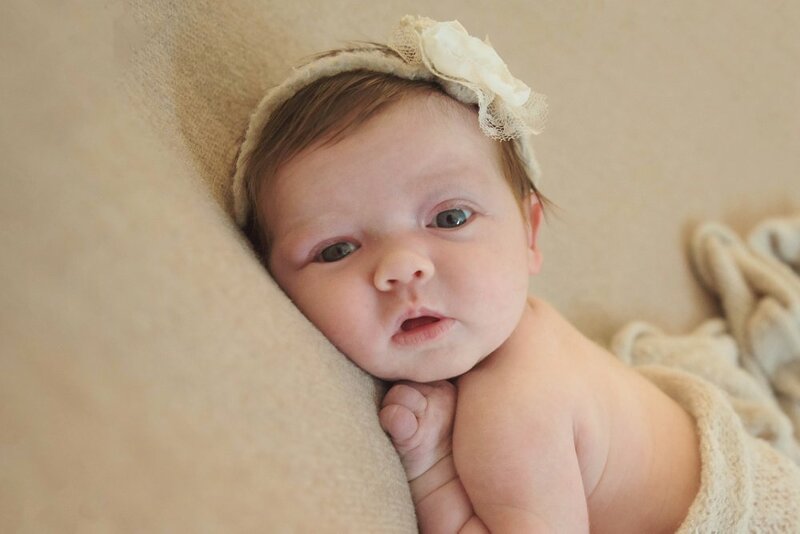 Once the infant is comfortable, we position him or her into different poses, capturing adorable, close-up images. 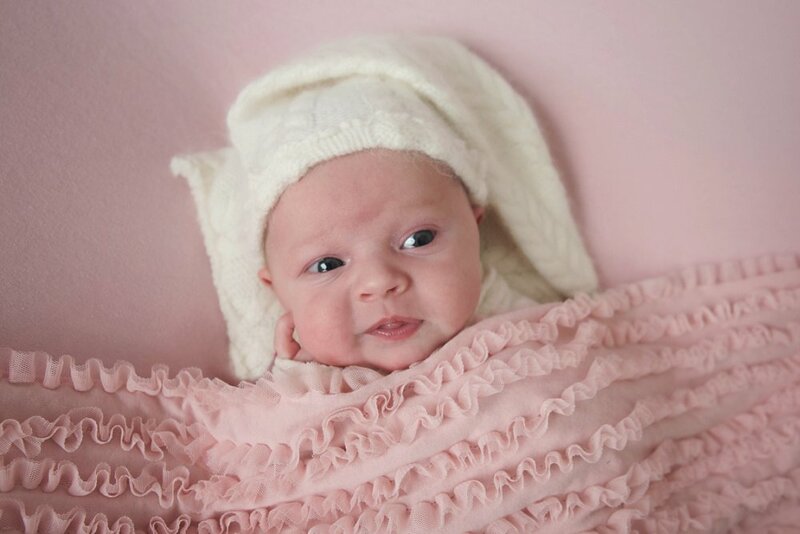 We have a wide variety of blankets, outfits, and other accessories that we use, but feel free to include your own hats, bowties, headbands, baby blankets, toys, or jewelry. I cannot promise that we will get to use everything we have but we will certainly try! 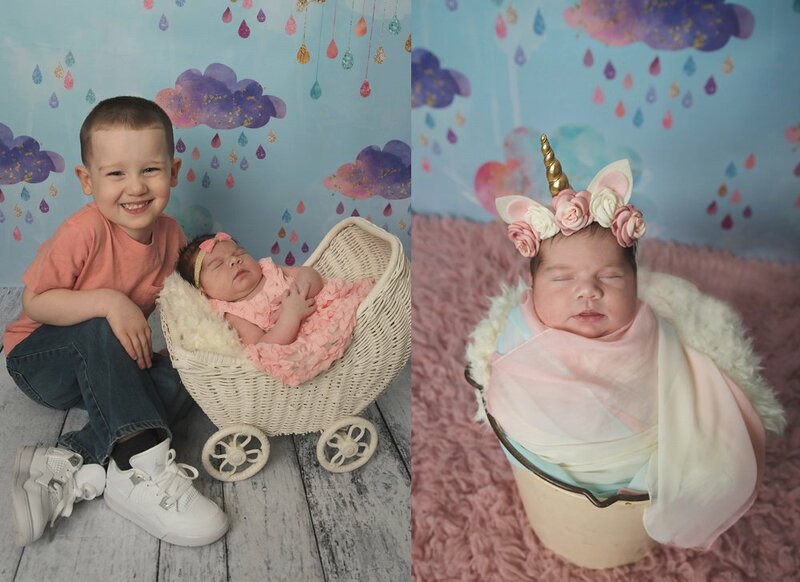 We always include at least one prop concept of our own, but we also love to include props that are special to the family, such as trunks, baskets, or stuffed animals, as long as they allow us to safely take the picture. 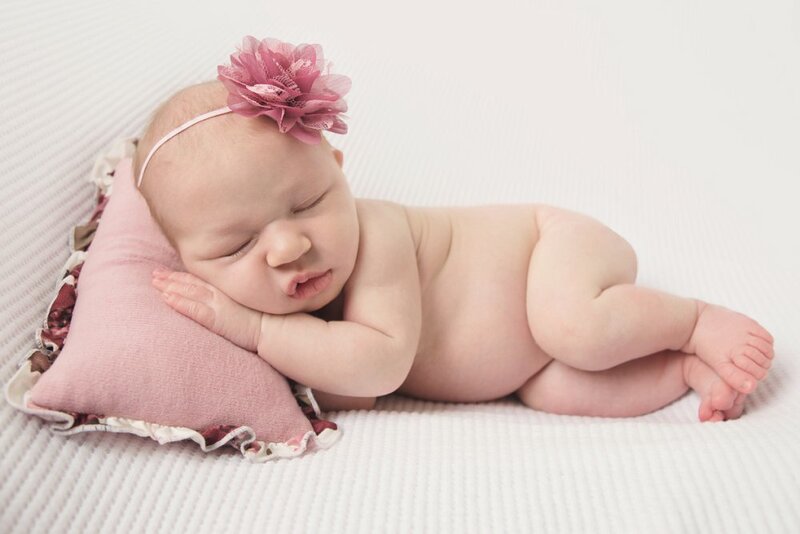 For the safety of the baby, this type of image can only be created when the infant is sleeping and with the help of mom or dad spotting. If we are not able to get any prop shots, then we will be sure to photograph extra images on the portrait beanbag. 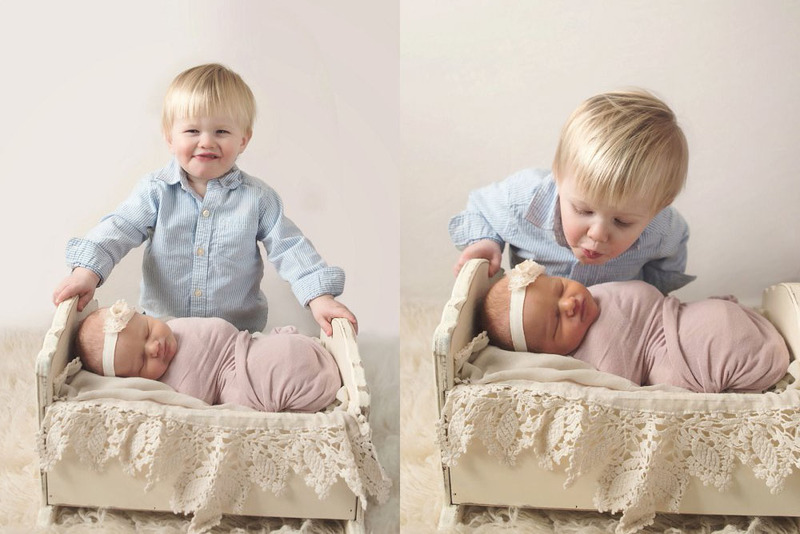 Adorable Images, Simple Process! We have 5 simple steps that get you from Captured to Hung on the Wall! 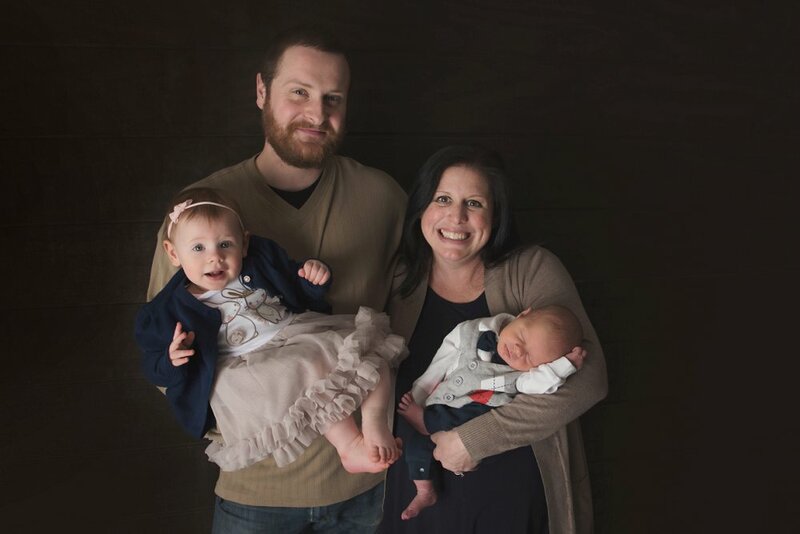 We know that Mom’s are the busiest people on the planet so we have a simple, efficient process in place to save time for everyone without compromising quality or experience. 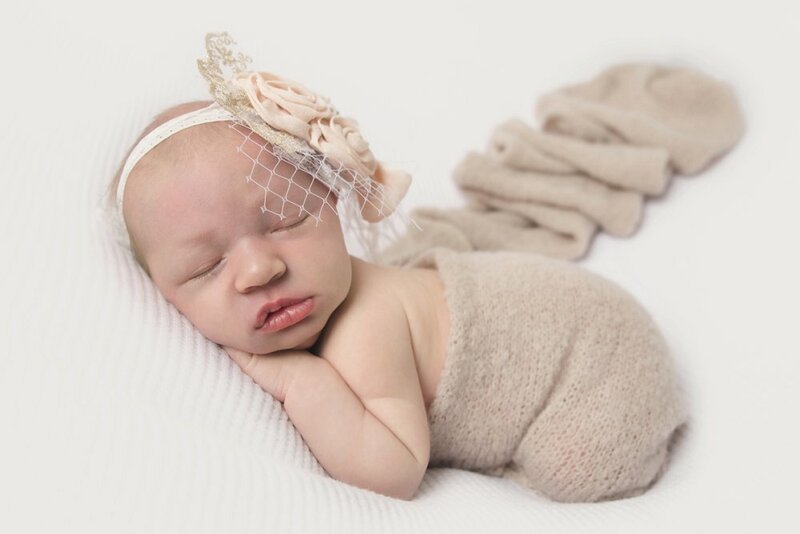 We know we are capturing milestones in your life and these images and product will last forever so we want them to be perfect! You can find the booking calendar on the next page. 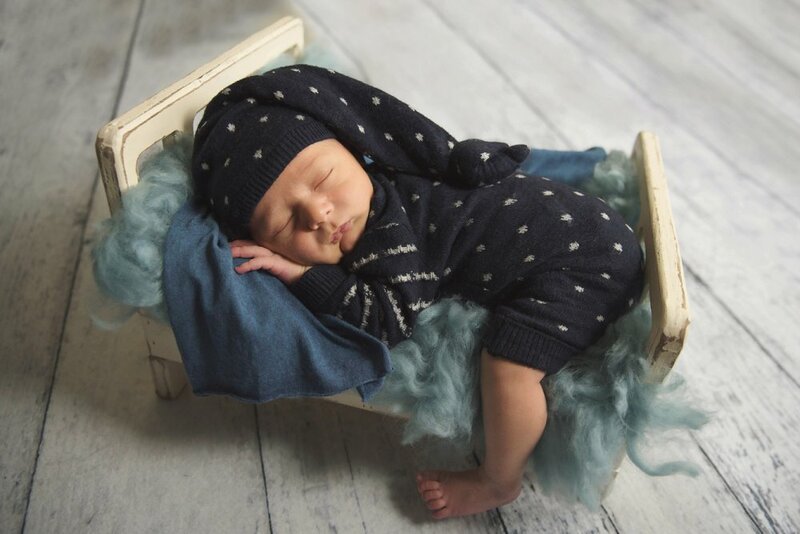 Select the closet available date to your due date, we’ll set the official time and date with you via text once the baby arrives. Before the baby arrives we’ll give you a consultation call to go over all the details of the session and to make sure we are the same page about the goal of these images. We are happy to answer any questions that you have and will review locations and times. 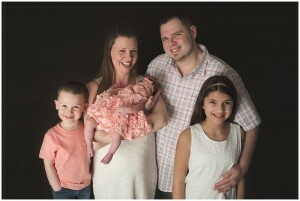 We’ll also capture contact information, session fee and plan a time for you to come view the images. 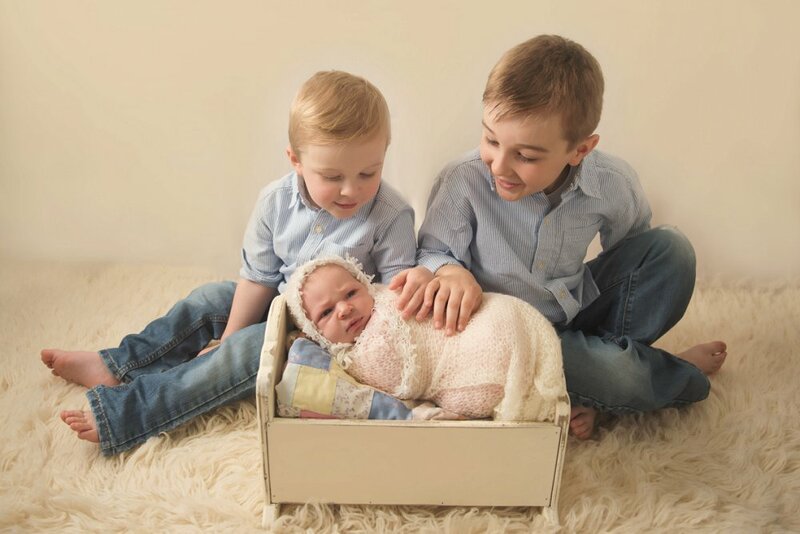 At your session we’ll have some fun and create beautiful images that will become a part of your family history. 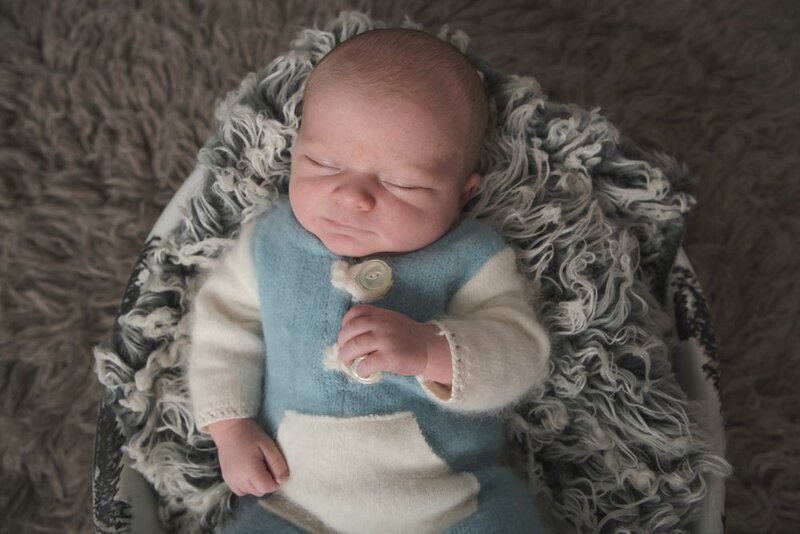 We like to pre-plan sessions with the details from your consultations so we can take our time and capture a beautiful set of portraits. VIEWING!! Our favorite part! 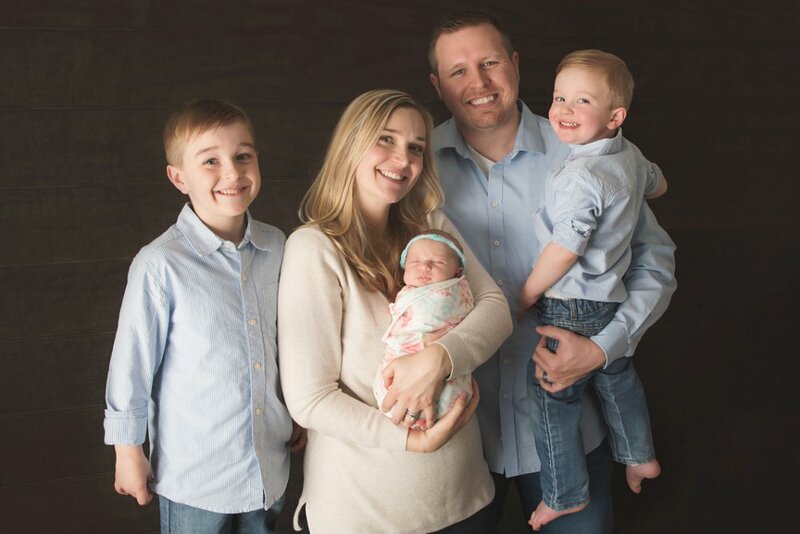 At your Image Reveal appointment we’ll show you a slideshow of images, deliver your 4×6 prints (included with your session fee) and help you pick the perfect print finish to adorn the walls of your home. We have plenty of samples to show you and enjoy working with families to create something unique. Products that you select will arrive within 7-20 business days and come ready to hang! At your Image Viewing Appointment we’ll sit down and review your images with you. You’ll see a slideshow presentation and your 4×6 prints. We’ll review the Collections and find you the best combinations of wall art and digital files. READY TO SEE WALL ART AND DIGITAL FILE PRICING? ENTER YOUR NAME AND EMAIL BELOW AND YOU’LL BE REDIRECTED TO OUR PRICING PAGE. Let’s chat! Have any questions or concerns? We are here to help answer your questions or ease your mind. 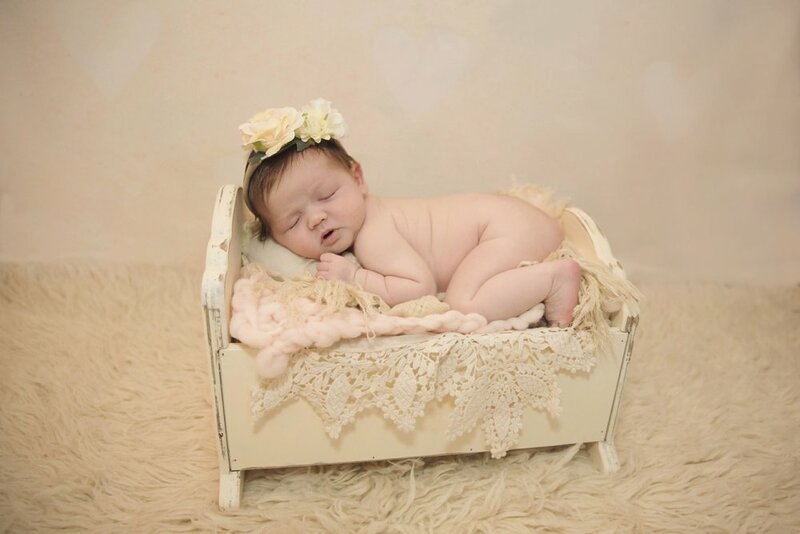 Don’t hesitate to reach out to us at (267)400-0010 or Tiff at Appletini Photography dot com. Our office hours are listed here.